Nothing is more soft, cozy, and warm than a high-quality cashmere sweater. But with spring well underway and warm weather fast approaching, it’s time to fold up your sweaters and put them away in self-storage. 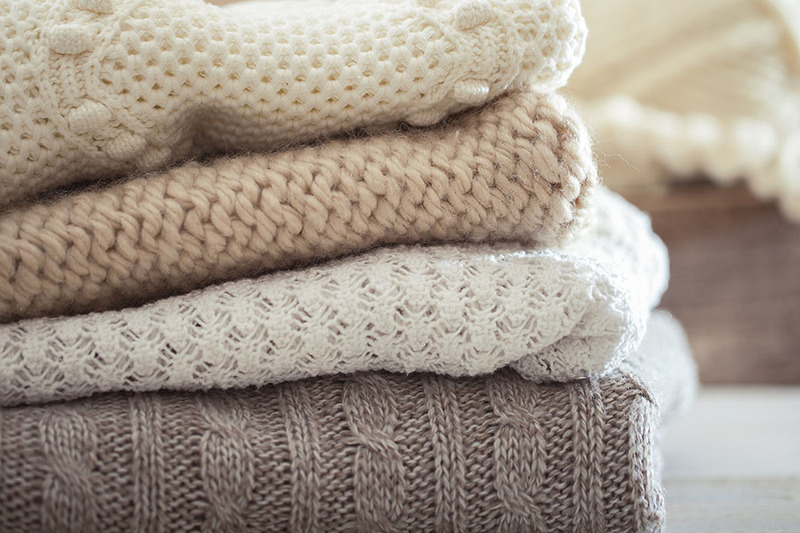 Cashmere is a delicate fabric, so preparing your sweaters for storage takes a little time and effort. To get started, follow these simple tips from Affordable Family Storage in Omaha. Most people avoid washing their cashmere sweaters whenever possible, but it is important that your sweaters are nice and clean before putting them in self-storage to prevent foul odors and moth damage. When it comes to washing cashmere, you have a couple different options. The easiest method is to wash it on the “delicate” cycle of your washer, using a laundry detergent meant for wools and delicate fabrics. You could also wash the sweater by hand, which greatly reduces the risk of damage. For this method, wash the sweater in your bathtub or sink using lukewarm water and a delicate laundry detergent. Regardless of the washing method you use, air drying is the best option. The dryer is likely to damage the fabric and shrink the sweater. If you wash your sweater by hand, don’t wring it or twist the fabric. Instead, lay it on a towel and roll it to soak up the excess water. Afterward, leave it out flat to air dry. Do not hang your cashmere sweater to dry as this will stretch the fabric and ruin its shape. As a delicate fabric, cashmere is prone to wear and tear such as pilling. Before putting your sweaters in self-storage, be sure to look them over and remove any pills that you notice. Sweater pills can be removed with a store bought fabric pill remover or a razor. Remember to be extra careful during this process so you do not accidentally cut the sweater. By taking the time to look things over, your sweater will be as good as new when you wear it again in the winter. When putting your sweaters in self-storage, do not use cardboard boxes. The chemicals in cashmere are known to react to the alkaline in cardboard and damage the clothing over time. Instead, use a storage bag or a plastic bin. To further protect your cashmere in storage, wrap the sweaters in acid-free paper. Affordable Family Storage in Omaha offers climate controlled self-storage units at our 90th Street location. To reserve your unit, give us a call today at 402-810-8881!